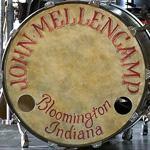 We have a great sale going on with $10 or less Mellencamp tee shirts! Mothers Day is approaching – time to celebrate the special Mothers in your life. Save on Mellencamp tees with this special Mothers Day offer - Tees for $10 or less! Plus, if you spend $50 in the store, you’ll earn FREE SHIPPING. Visit the store today to find $10 tees, accessories, collectibles, and much more! Great deal for 10 bucks. Sounds awesome. I will jump on that.